After hearing so many good things about these brushes from the likes of youtube guru’s and fellow bloggers, I thought for the price, which is very reasonable indeed, they were worth a shot and I’ll tell you now, they are most definitely worth it. The brushes are coordinated by colour based on their function although don’t be too strict on this. I use brushes for whatever I want, it doesn’t matter what it says on the handle. Get creative! The gold handles are from the ‘Core Collection’ and can be purchased from Boots for £20. 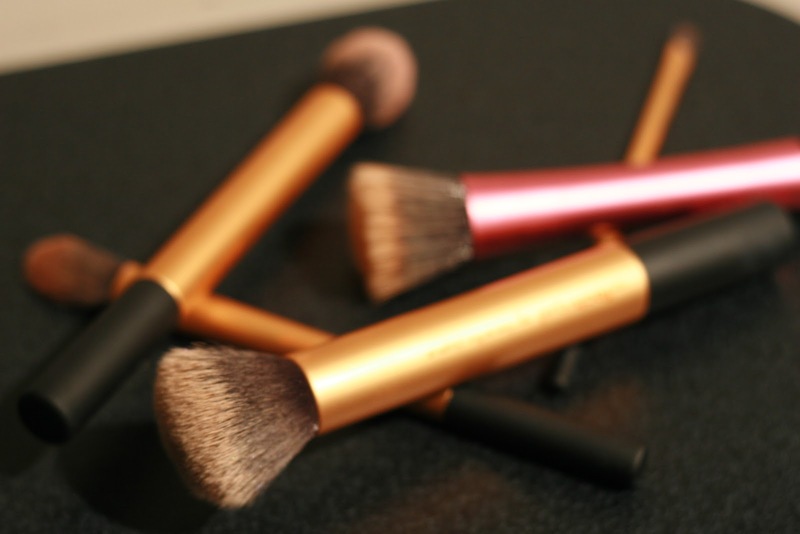 What you get – a detailer brush, good for concealer etc. A pointed foundation brush, surprisingly for foundation. A buffing brush, I use this to set my foundation with a translucent powder and even to completely blend foundation. Finally a contour brush to help build definition! The stippling brush (the one with the pink handle), I bought separately but can also be bought from boots for £10. The brushes feel sturdy in your hand, whilst also being comfortable to hold. They have flat bottoms so they can stand up on your dressing table, possibly useful for some people although a little pointless for myself. They all create a very nice finish on the skin and are quite economical with the product, they don’t seem to eat it all up like some brushes I have had in the past. I do have some more premium and high end brushes, which are good, but not always better. I was very pleasantly surprised after trying and testing these. The detailer brush is probably my least favourite, but only because I am not a massive fan of applying concealer with a brush, instead I much prefer to use my ring finger. I have to stress this point because nothing annoys me more than a brush that sheds hair all over your face.